They did promise to give us something amazing with the new model and boy have they delivered! 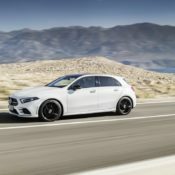 The new 2019 Mercedes A-Class is about as premium as hatchbacks can get. The design is reminiscent much bigger, more luxurious models, and as for features, it leaves the competition for dead. 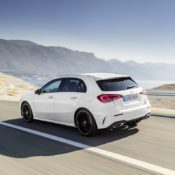 The looks of 2019 Mercedes A-Class on the outside is a tad controversial. It looks like the CLS had a mini-me version created for it from pretty much any angle save the rear. There you find a pair of not so pretty taillights that reminds one of Hyundai products to be frank. But the whole looks pretty high class, especially inside the cabin where you could really mistake it for an S-Class. The new baby Benz comes with S-Class-like features as well. This is a family hatchback with tech stuff like MBUX highly advanced infotainment with AI, multibeam LED lights, and semi-autonomous driving. 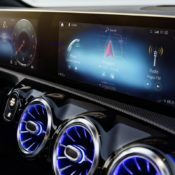 There is also head-up display, 3D graphics, navigation functions based on Car-to-X communication, Active Distance Assist DISTRONIC, Active Emergency Stop Assist, Active Lane Change Assist, Active Brake Assist, and a ton of other technology features. 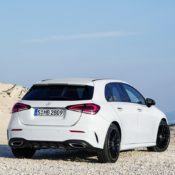 Engine-wise, 2019 Mercedes A-Class launches as A200 with 163 hp, 250 Nm; A250 with 224 hp, 350 Nm; and A180d with 116 hp, 260 Nm. A 7G-DCT dual clutch transmission is standard across the range. 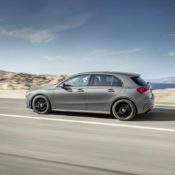 On request the new A-Class is available with the permanent all-wheel drive system 4MATIC with fully variable torque distribution. 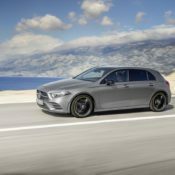 The post 2019 Mercedes A-Class Is a Mini CLS with S-Class Features appeared first on Motorward.